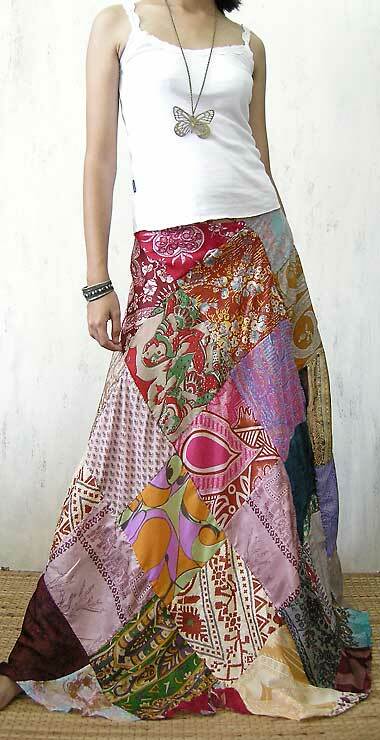 Hippie wrap skirt in gypsy style. 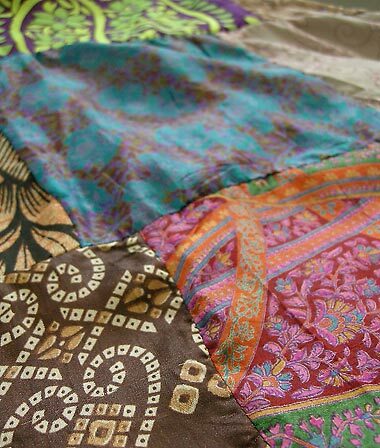 It is a patchwork of many silk fabrics in different colors and ornaments. 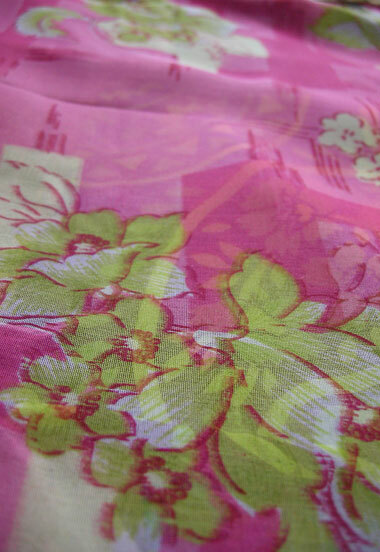 The inside is lined with silk fabric. Please be aware that this is NOT an industrial product, it is absolutely unique! You will love it! Color: multicolor. 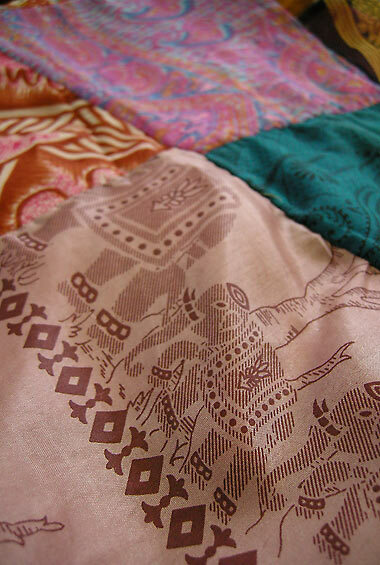 Outstanding ethnic design, an absolute eye-catcher! Top and jewellery are not part of the offer. If you are interested, please feel free to ask. Washing: hand washable only, cold water, separated, low heat iron.